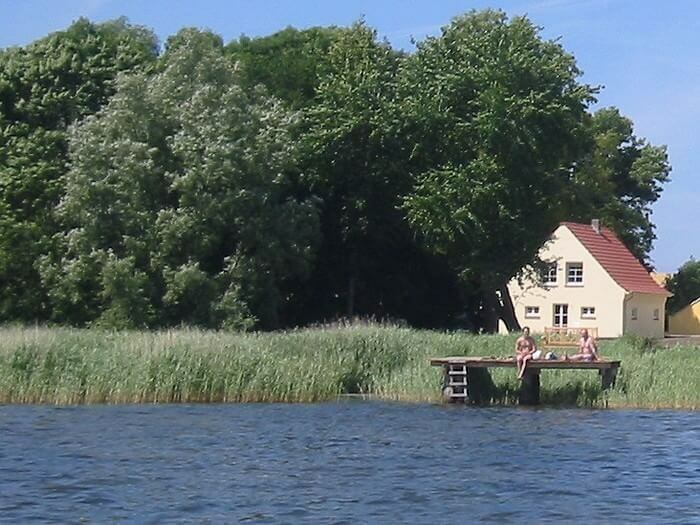 The eight apartments and the cottage are furnished to a high standard, lovingly, and offer a wonderful view on the waters of the Lebbiner Bodden and an idyllic landscape. For all hotel guests to use, a large fireplace and library room, a Sauna and the 10,000 square meters large garden. Four of the eight accommodations have a private terrace or a spacious balcony. 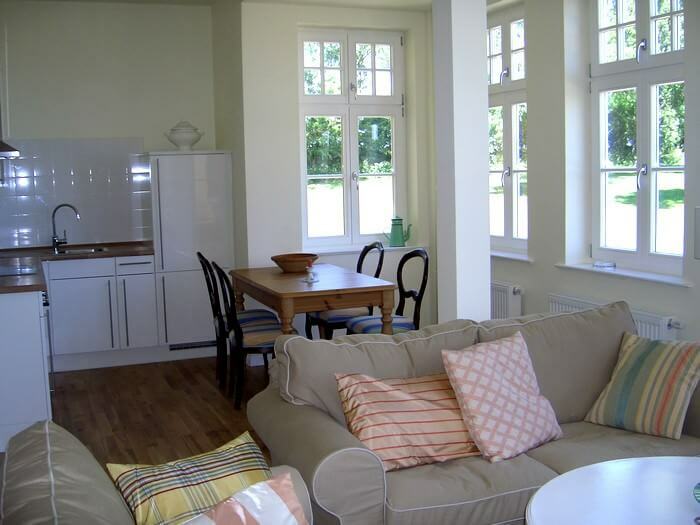 The apartments have modern open plan kitchens (with dishwasher, stove and oven) and a TV with DVD Player. A Central Fax machine and the washing machine in the utility room can be used. Access to the Internet, we provide you with in the manor house and the carriage house by means of free W-LAN. 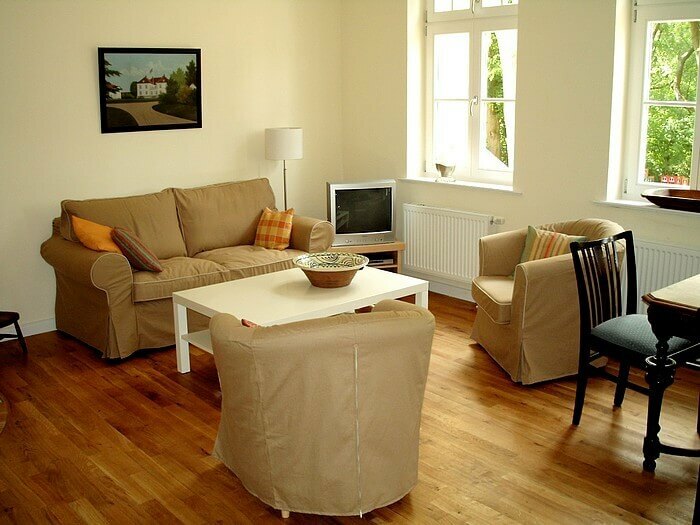 At your arrival, the apartments with fresh bed linen, Hand and tea towels are provided. On the property there is a connection to the four German mobile telephone networks. Dogs are in Good Grubnow in the apartments 1, 2, 4, and carriage house welcome: out of consideration for children and families, they are run on the property on a leash. During the main season the accommodations by the week are rented from Saturday (arrival from 16:00 PM) to Saturday (excerpt up to 10:00 PM). In individual cases, and in the off-season, different rules are possible. After consultation, can be provided in some apartments extra beds. Apartment on the ground floor / basement for 1-2 persons, 50 sqm, living room with kitchen, bathroom with a bathtub, a driving dog. Price from 80 to 90 Euro per night and apartment. More details under Apartment I. Apartment on two floors in the basement and 1. Floor for 2-4 persons, 85 square meters of living space, living room with kitchen, two double bedrooms, two bathrooms, transportable dog beds, possible. 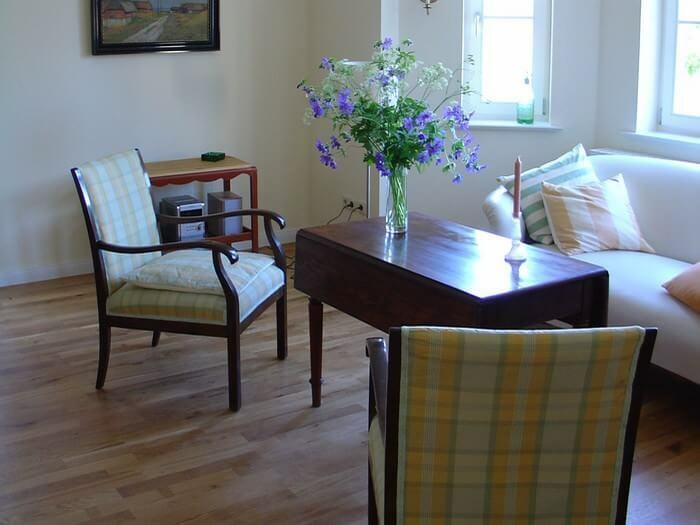 Price from 100 to 120 Euro per night and apartment. More details under Apartment II. 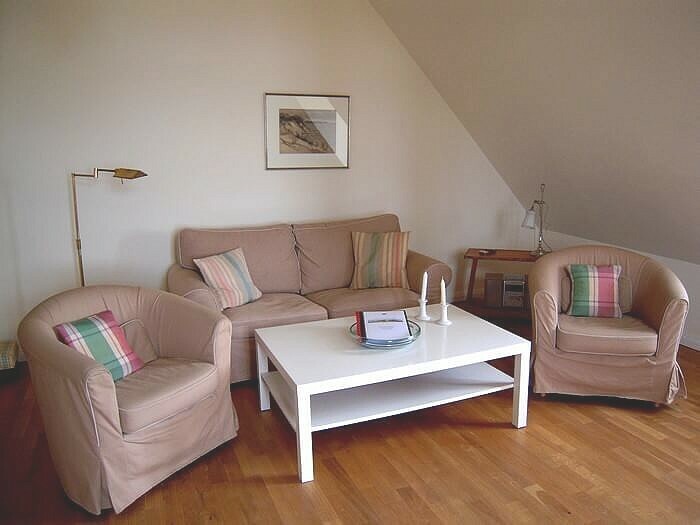 Holiday apartment on the 1st floor with terrace for 2-4 persons. 92 m2, living room with kitchen, two bedrooms with double beds, a bathroom. Price from 110 to 130 euros per night per apartment. More details under Apartment III. Holiday apartment in 1. Floor with terrace, for 2-4 persons, 72 sq. m. of living space, living room with kitchen, two bedrooms with double bath, portable dog beds. Price from 100 to 120 Euro per night and apartment. More details under Apartment IV. 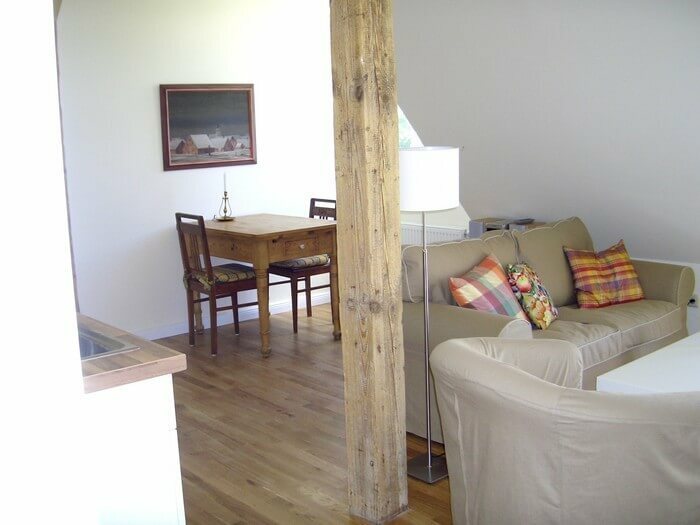 Apartment on the 2nd floor for 2-4 persons. 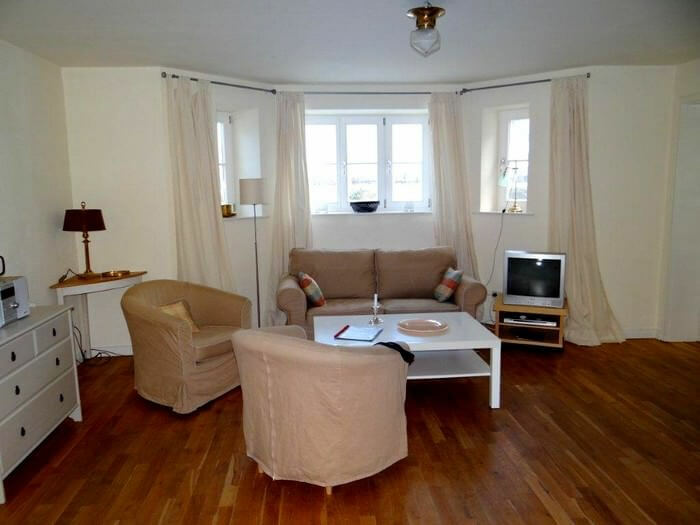 69 m2, living room with kitchen, two bedrooms (1 double bed and 2 single beds), a bathroom. Price from 90 to 110 euros per night per apartment. More details under Apartment V.
Apartment in the 2. OG with balcony for 1-2 persons; 54 sqm of living space, living room with kitchen, a bedroom with a double bed, a bathroom. Price from 90 to 110 Euro per night and apartment. More details under Apartment VI. Apartment in the 2. OG with balcony for 1-2 persons; 57 square meters of living space, living room with kitchen, a bedroom with a double bed, a bathroom. Price from 90 to 110 Euro per night and apartment. More details under Apartment VII. 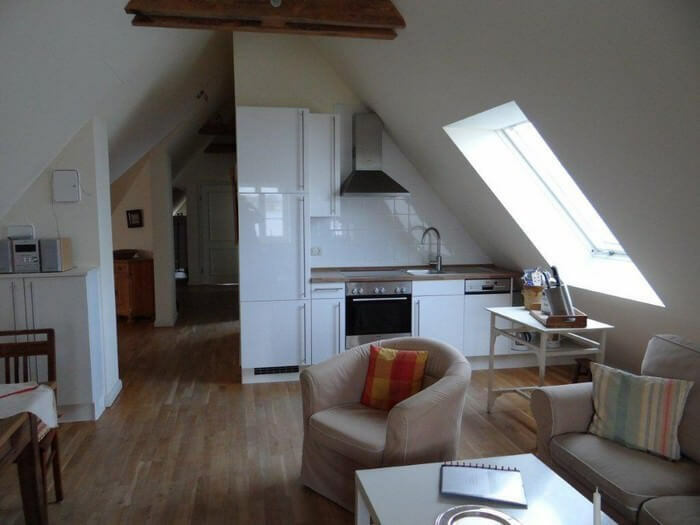 Apartment in the attic for 2-4 persons; 78 sqm of living space, living room with kitchen, two bedrooms (1 double bed and 2 single beds), a bathroom. Price from 90 to 110 Euro per night and apartment. More details under Apartment VIII. 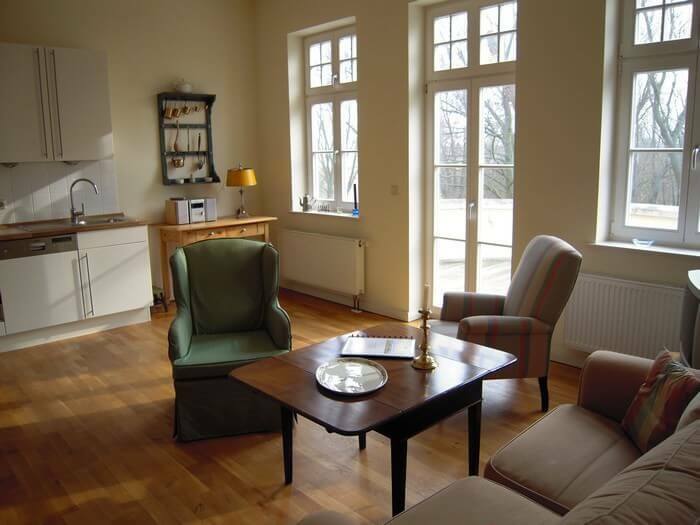 Cottage carriage house for 2-6 persons, 72 sq. m. of living space, living room with kitchen, three bedrooms (2 double beds and 2 single beds), a bathroom, a driving dog. Price from 120 to 140 Euro per night and house. More details under Holiday house Remise.